100 grains remove the collars and reduce the weight to 85 grains. 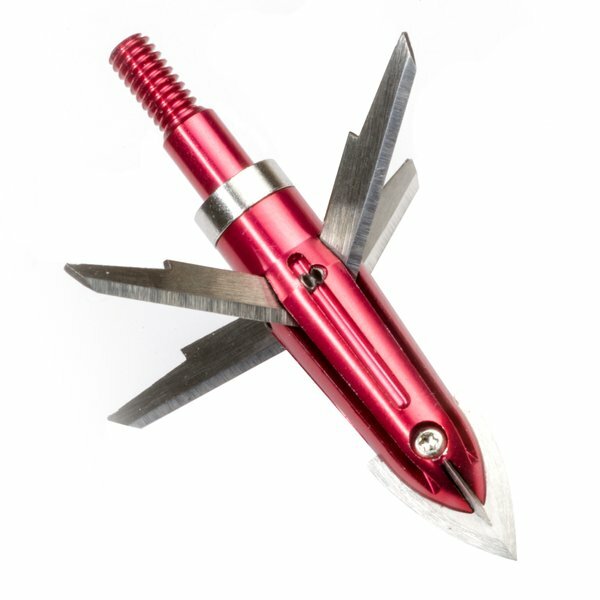 Accurate and Destructive-The Most Accurate Broadhead On The Market. 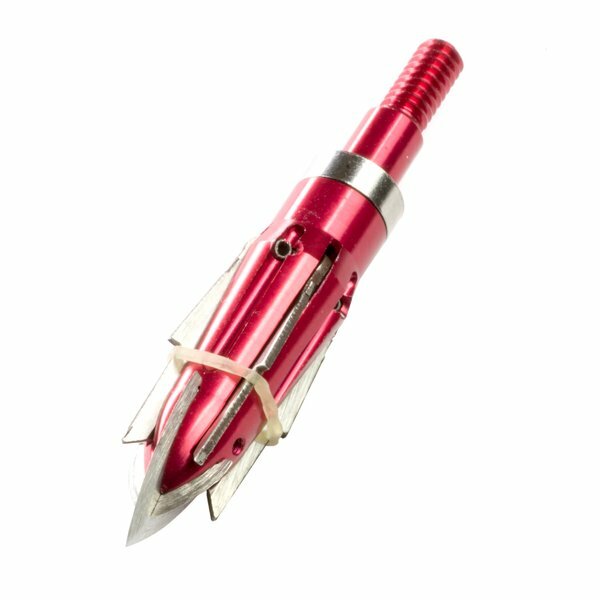 The SWAT C4 Broadhead is 4 blade 1.5" diameter killing machine. The X-OUT tip and the 4 blades are on a difference axis. This orientation results in extreme internal damage as well as a huge exit wound that will produce great blood trails. The blades are incredibly strong. Forged from 420 SS it's near impossible to bend or break them. We shot them over 30 times and they still look new. The Swat C4 blades are razor sharp. There is no doubt in my mind that the C4s blades will slice easily through the toughest animals. The C4 heads also stayed extremely sharp from the first shot to the last. The C4 is hands down the most accurate Broadhead I have ever shot, and I've shot almost all of them. When I approached the company about testing their Broadheads I asked if they made a practice tip. The owner replied,"that's why you have field tips". We've all heard every manufacturer claim field point accuracy so I laughed that comment off inside my thoughts. The C4 uses a rubber band system that is easy to use. Out of all of my testing there were no premature blade openings or failures to expand in the target. They functioned properly and flawlessly. The only "downside" to the C4 design is the entrance would is not very big. The blades by design open when they hit fluid and internal tissue. Considering their exit would and accuracy I don't really see this being an issue personally. The C4 is sure to hit where it's supposed to and slide right through the animal leaving a devastating blood trail. With all of the heads on the market this season, I haven't found a head that holds up to the C4s accuracy or quality. The C4 is a sure fire, animal killing machine. Copyright © 2018 Full Drawn Addiction.